Welcome to LightCounting! We provide analysis of the optical communications market and technologies. Sign up for LightTrends, LightCounting's Newsletter. "I have read many analyst reports and I found your Data Center Interconnects report to be one of the best I have ever read. I am very impressed. You have an amazing amount of data, interesting statistics and predictions." 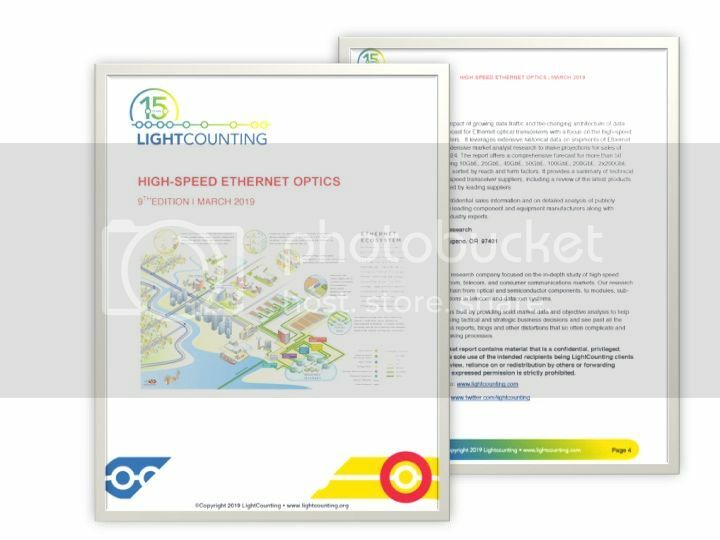 "LightCounting's report on 'The State of the Optical Communications Industry' is very helpful for us. It definitely has in-depth analysis of the optical communication industry trends and current challenges." Download our Research Roadmap for a list of reports and publication dates. Delivery: We offer reports and databases delivered electronically in Microsoft Office Word, PowerPoint and Excel and in Adobe PDF formats. Report packages: 3-12 reports with a single purchase order enables a significant discount and substantial cost savings. LightCounting offers a range of subscription options developed to suit most client requirements and budgets. The subscription model comprises reports (Market Forecast, Market Update, Focus), Research Notes, Databases, Forecast Previews and unlimited access to the analysts for additional insights, perspectives, discussion and answers to ad hoc questions. Demand for optics from Chinese service providers surprised the industry in 2010-2018. It started with massive deployments of FTTx systems and continued with optical fronthaul in the access markets. This two-part report examines the optical interconnect segments that have long served as data bridges between elements of large systems or clusters. February 3, 2016 Silicon Photonics will "not disrupt market until after 2020"